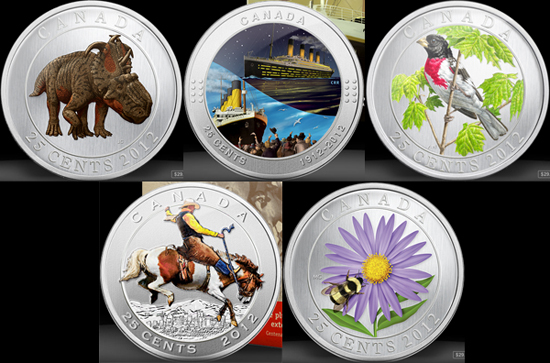 "200 anniversary of the signing of Independence"
-Birds of Canada series "Rose-breasted Grosbeak"
-"100th Anniversary of the Calgary Stampede"
-Flowers and little creatures series "Aster with Bumble Bee"
"SHIPS: Kong Frederik IX ferry"
The ferry Kong Frederik IX was built at Elsinore Shipyard. When it was put into service on 16 December 1954 it was the world's largest ferry. It served several routes e.g. 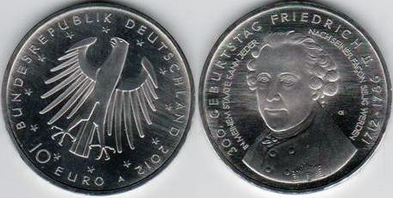 between Denmark and Germany and across the Great Belt. In 1997 it was taken out of service and for a few years it served as a museum ferry at Nyborg. In 2005 the ferry was scrapped. 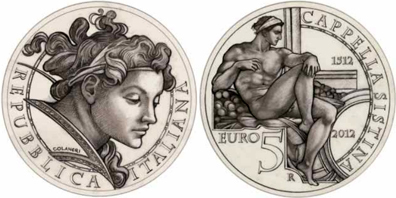 "500th Anniversary of the unveiling of the Sistine Chapel frescoes (1512-2012)"
The Mint of Finland has announced the issue of a new collector coin which pays tribute to one of Finland's most well-known female entrepreneurs and founder of one of the country's largest clothing, textile and home furnishing companies. Armi Ratia (1912-1979) was the founder of Marimekko in 1951. She is remembered in Finland as both charismatic and very creative, which led to her substantial commercial success in Finland and internationally. 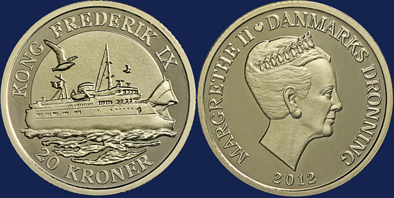 The obverse of the coin is the work of artist Kari Markkanen and depicts a candid and informal portrait of Armi Ratia. A series of wavy lines or stripes representative of some of Marimekko's well-known textile designs is seen behind the portrait. The reverse motif is designed by Maija Isola and includes a series of Marimekko's trademark flowers with the center flower depicted in vivid magenta and orange color. 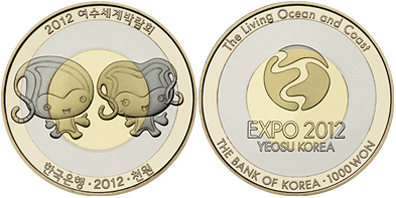 "Cyprus Presidency of the Council of the EU"
"World Expo 2012 in Yeosu"
The Central Bank of Korea also issued 3 silver and 2 gold coins. 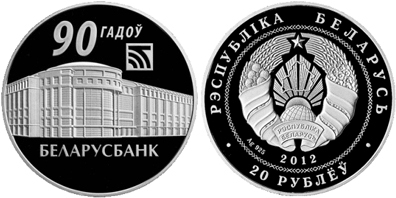 "200 years of Spanish Constitution of 1812"
"90 years of the Bank of Belarus"
According to UNESCO's definition, tolerance is the acceptance that people of different appearance, status, speech, behaviour and values have the same right to live in peace and be as they are. 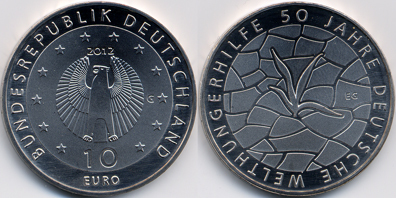 The coin has been designed by art student Katri Piri. 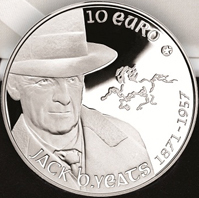 "European Artists: Jack Butler Yeats"
The Istituto Poligrafico e Zecca dello Stato (Italian State Mint) announced the issue of their latest coin which is part of the EUROPA series for 2012 which pays tribute to European Artists throughout the ages. 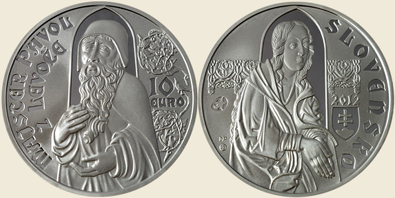 The coin's subject is Michelangelo di Lodovico Buonarroti Simoni (1475 - 1564), or known simply as Michelangelo. 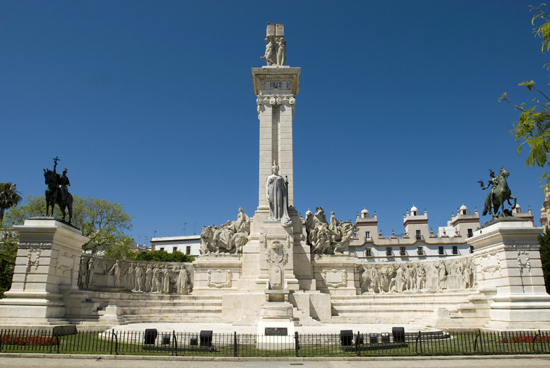 The world renowned sculptor, painter, architect, poet, and engineer during the Italian Renaissance period exerted an unparalleled influence on the development of Western art. Michelangelo is most noted for having created two of the most influential works in fresco in history, the scenes from Genesis on the ceiling and The Last Judgment on the altar wall of the Sistine Chapel in Rome. The Statue of David completed by Michelangelo in 1504, is one of the most renowned works of the Renaissance. 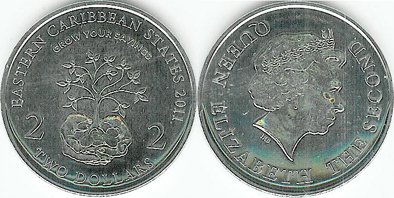 "200th Anniversary of the Victory in the War of 1812"
The Money and Medals Newsletter is a free digital publication which appears three times a year and covers numismatic news, events, museum exhibitions and auctions predominantly with a UK focus. We'd like to take the opportunity to invite you to join our subscription list. To sign up to receive the Newsletter please contact rkelleher@thebritishmuseum.ac.uk. 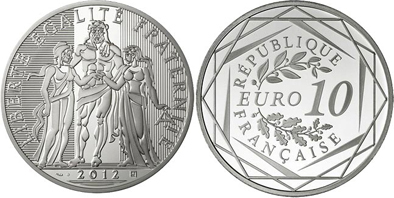 The Newsletter is part of the wider work of the Money and Medals Network which aims to act as an information exchange for curators in the UK whose collections include coins, medals and other objects relating to monetary and economic history and numismatics. 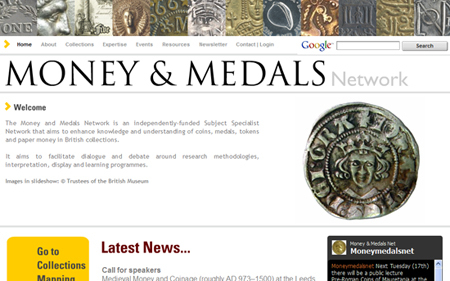 The website is www.moneyandmedals.org.uk and can also be found on Twitter (@moneymedalsnet), Facebook and Tumblr. 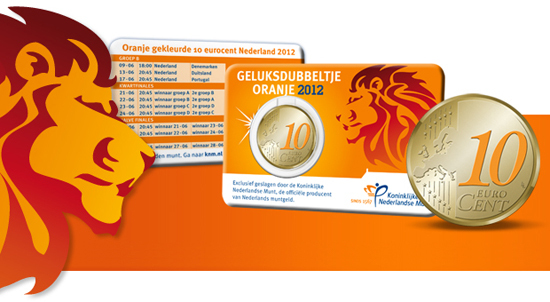 The Dutch Mint will be issuing this nice coloured edition of the circulation 10 cents 2012. 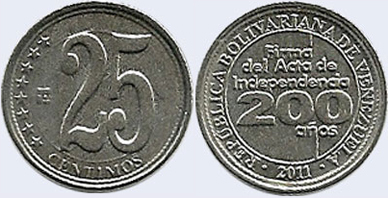 It will be available in credit card. It shows the dates of the UEFA Cup matches. "75th birthdays of the King and Queen"
Their Majesties King Harald V and Queen Sonja both celebrate their 75th birthdays in 2012. 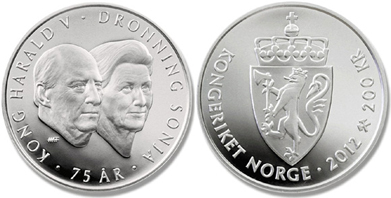 To mark the occasion, Norges Bank will issue a commemorative silver coin. King Harald celebrates his 75th birthday on 21st February, and Queen Sonja celebrates her 75th birthday on 4th July. 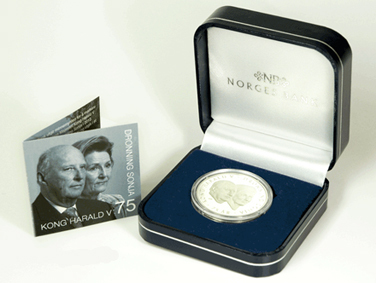 King Harald succeeded his father, King Olav V, to the throne on 17 January 1991. The King and Queen were consecrated in Nidaros Cathedral on 23 June 1991. The King and Queen were married on 29 August 1968 in Oslo Cathedral and have two children, Princess Märtha Louise and Crown Prince Haakon. 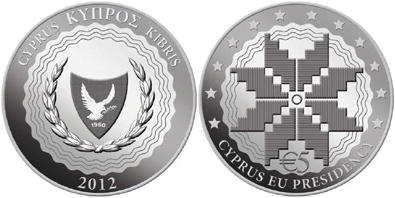 A unique collaboration between 14 European Union member states, the European Silver Programme is a series of commemorative 20 euro silver coins designed to celebrate common aspects of European identity. 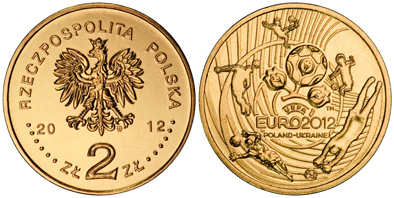 The theme chosen for 2012 is artists, which has provided the Austrian Mint with the perfect opportunity to pay homage to a painter who, along with his mentor Gustav Klimt, is the country's most internationally revered. 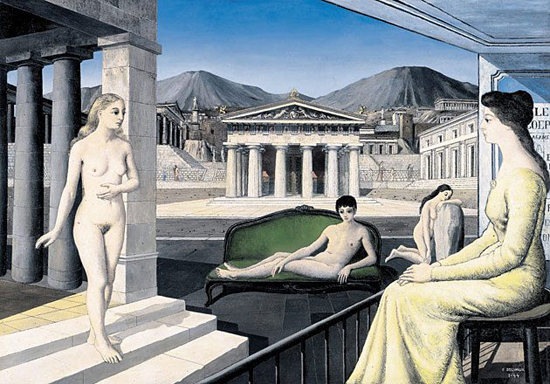 Often referred to as the "20th-century Mona Lisa", Portrait of Wally features his lover, Valerie Neuzil, who modeled for many of his controversial paintings and shared his life until he married a more socially acceptable woman. Painted in 1912, it now forms part of the collection of the Leopold Museum in Vienna, home of one of the world's most comprehensive Schiele collections. 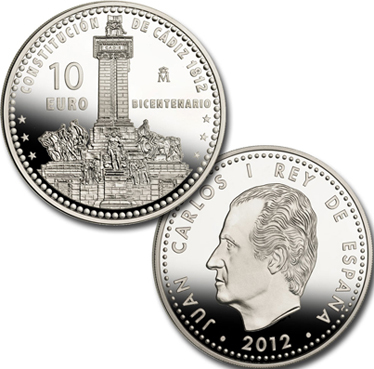 The picture is shown on the coin's reverse, while a portrait of the artist himself is depicted on its obverse. 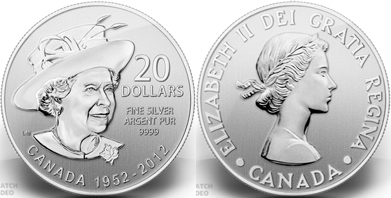 The coin celebrates 10 years of Financial Information Month. 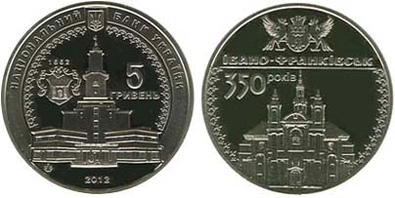 "UEFA Euro2012 Cup hosted by Ukraine and Poland"
"350 years of Ivano-Frankivsk city"